I didn’t think we would make it this long without a broken bone in our household. With the way the boys constantly roughhouse, climb and jump off of everything, and run full speed without a second thought of obstacles in their path…we are lucky that there have been few injuries over the years. The boys played outside after school yesterday and when we came inside, they went up to their room. After a few minutes I heard Wyatt scream and he came downstairs crying. He said that he fell and hurt his arm. 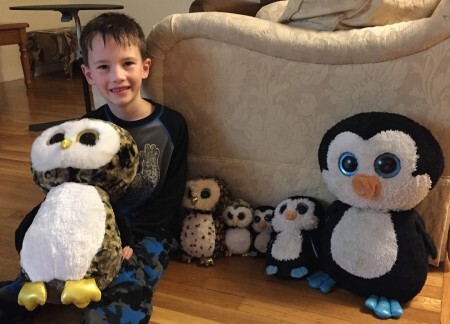 By fell he meant that while the boys were leaping off of Wyatt’s bed into a giant bin of stuffed animals, he landed wrong and fell on his arm. We applied ice but there wasn’t any obvious injury so we went on with the rest of the evening. At bedtime he said it hurt too much to go to sleep and I gave him some medicine and he was soon asleep. This morning he immediately complained that his arm hurt too bad. 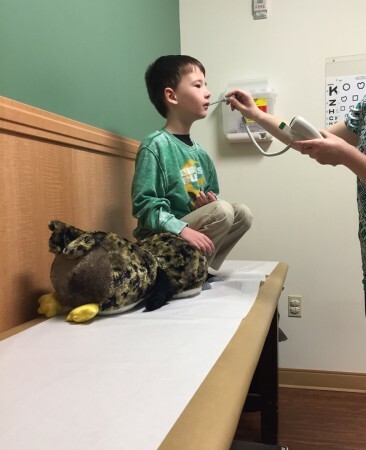 We decided that it made sense to take him to the Dr and he was worried about what would happen and asked to take Giant Owl. I explained what he should expect if the Dr sent him to get an x-ray and he and Scott headed to the Dr. 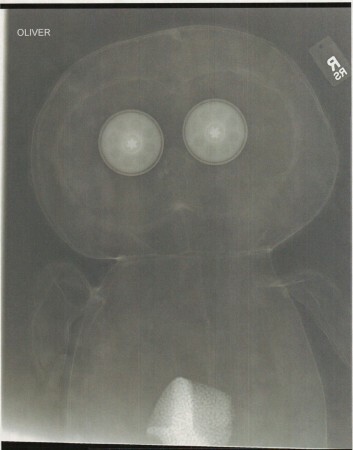 When it was time for Wyatt to get x-rays on his arm, Giant Owl also got an x-ray (his “name” is Owliver). Then Scott and Wyatt went out to breakfast and Wyatt ate a giant plate of bacon and lots of other food before they came home. We got a call with the x-ray results and he has a fracture in his right arm and he has an appointment with ortho on Monday. In the meantime, the Dr says it won’t get worse and manage pain as needed. So now we wait and hope that Wyatt has a speedy recovery. I love that they did the owl, too. So cute! I am so glad it didn’t affect his game playing thumbs. 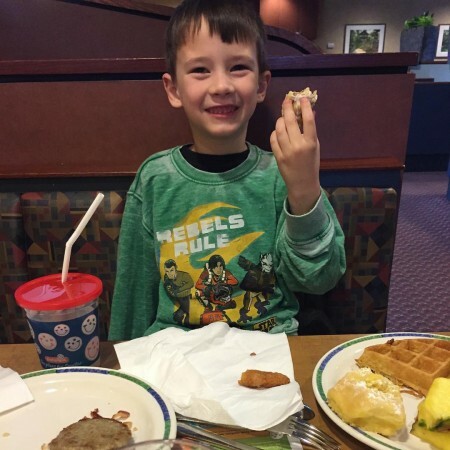 His appetite didn’t seem to be affected as he ate a big lunch, played games, and wanted ice cream. He is a trooper.